The Scholarship Program focuses on Academic Achievements of inner city students from various communities within the districts we serve. 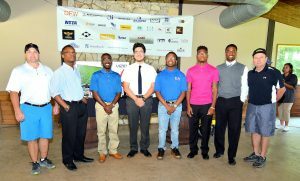 Primarily we identify students that are taking interest in Construction Management, STEM degrees, and Entrepreneurship. This program allows our Industry Partners to invest into the future of underserved community youths’ education pursuits. It serves as a catalyst for Industry Partners to engage in the development of talent for potential leaders of their organization. The program provides an excellent opportunity to recruit, train, and develop aspiring professionals at the early stages in talent development, to ensure workforce preparation into their respective industries.